For those based in Great Britain, you are aware that a General Election is taking place on June 8th. Theresa May called this impromptu election who is currently working on making good negotiations for Brexit. However, due to her snap election, we now have a choice. In order to vote on June 8th, you must register to vote by May 22nd. While you may think your vote doesn’t matter here are 5 reasons why you should register to vote and why your voice matters. This is your time to use your voice instead of being silent. The money the government are using comes from your income and earnings. Be a part of the decision that goes into how your money is spent when it comes to key factors such as the NHS, tuition fees and the representation of the youth. If you’ve ever disagreed with the decisions being made for us, this is your chance to find policies you’re in favour of & make a difference. After results displayed that Britain would be leaving the EU, a number of searches came up on Google including “What is Brexit?” & “What is the referendum?” Although understanding politics is no easy task, it’s worth asking questions now while you still have a chance to disagree with the answer you’re given and choose another one. The results found that 64% of those young people who were registered did vote, rising to 65% among 25-to-39-year-olds and 66% among those aged between 40 and 54. It increased to 74% among the 55-to-64 age group and 90% for those aged 65 and over. These percentages show the importance of the youth voting as the decisions chosen today inevitably affects our tomorrow. If you are a young person that is unhappy with current political circumstances and you want to be heard then this is why you should register to vote. If you know a young person currently unhappy with our present political position, encourage them to vote. There was a time where you could not vote in certain parts of the world due to discrimination and a certain group of people being seen as less important than others. You have the ability to vote in today’s day and age without facing adversity. While people in other parts of the world are still fighting for democracy, you can be a part of the change that reflects the future you want for yourself and the next generation. Due to the busy schedules of many, there has become a plethora of ways you can vote. You can vote in person, by proxy or by post. The reasons there are so many alternatives now is because Great Britain wants to give everybody the chance to have their say. Remember, what you think and what you choose matters. From getting out a phone contract to buying a house, registering to vote also helps you with your personal credit score. 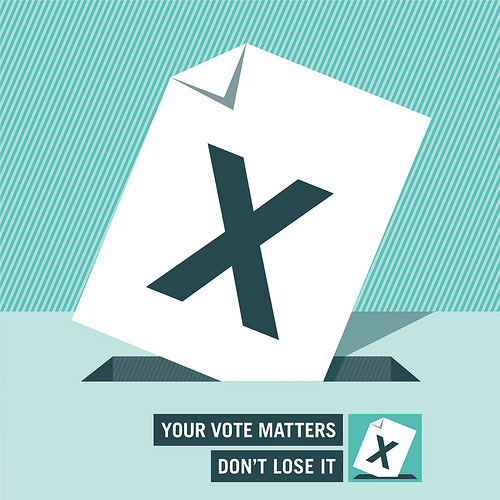 We cannot complain about the state of current affairs if we do not hold ourselves accountable and be part of the decision-making process, so if you haven’t already, register to vote here and tell others to sign up too.